Apex Legends launched worldwide on February 5, 2019 but has already taken millions of players across the world – 25 million to be exact – by storm. Of that, more than 2 million players have enjoyed the Battle Royale-style gameplay concurrently. The EA-developed title is free-to-play, like its main rivals Fortnite and PlayerUnknown Battlegrounds, although it offers a number of additional features at a price thanks to so-called Loot Boxes which can be bought for additional in-game items. Developer Respawn kept the development of Apex Legends under wraps, unveiling the finished game with very little fanfare and allowing the game to become a word of mouth phenomenon almost overnight. Apex Legends is already available on Xbox One, PlayStation 4 and PC. Like Fortnite before it, the free-to-play multiplayer title was not launched on the Nintendo Switch – the most successful games console of the current era – alongside the other consoles. Fortnite Battle Royale launched on Xbox, PS4 and PC in September 2017, while Switch players were forced to wait until June 2018. 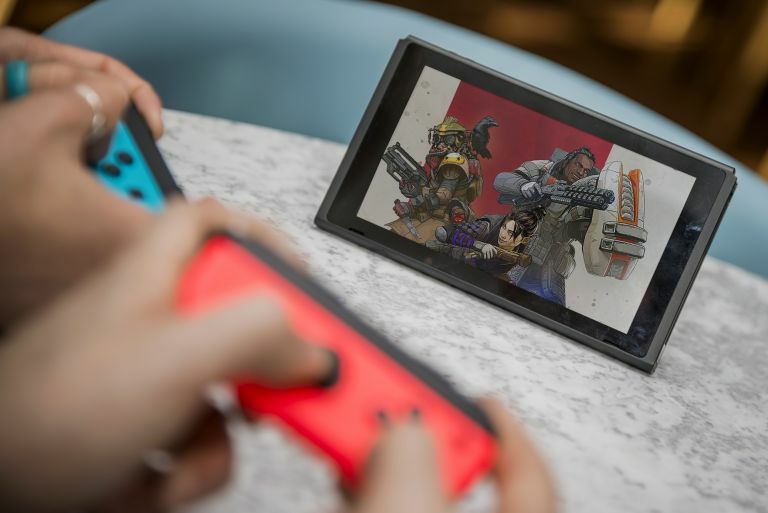 Unfortunately, Apex Legends fans could face a similarly agonising wait until the title appears on the latest-generation Nintendo console, which can be played on a HD TV via the bundled dock, or on-the-go using the built-in 720p touchscreen. In an interview with Eurogamer, lead producer Drew McCoy has addressed whether the free-to-play game will make its way to the Switch, stating that although there is "nothing [they] can currently talk about", the studio would love to bring Apex Legends to the Nintendo Switch in the future. Developer Respawn has already confirmed plans to bring cross-play support between different consoles to the title – so Xbox One owners can battle it out with those playing on PC and PS4, for example. This is already possible with Fortnite, and is something that Nintendo has previously encouraged. Unfortunately, the ability to share progress in the game – as well as purchases – when you move between consoles will never be possible "due to the way systems were set up early on", McCoy added. So, those who have opted to play on their PS4 or Xbox One for the time being and who decide to move over to the Nintendo Switch will find themselves at the beginning all over again. A special Battle Pass for Apex Legends will launch in March, which will boast a glut of new weapons, items and other rewards. Developer Respawn has also promised new maps, although there's currently no timeframe on the update.